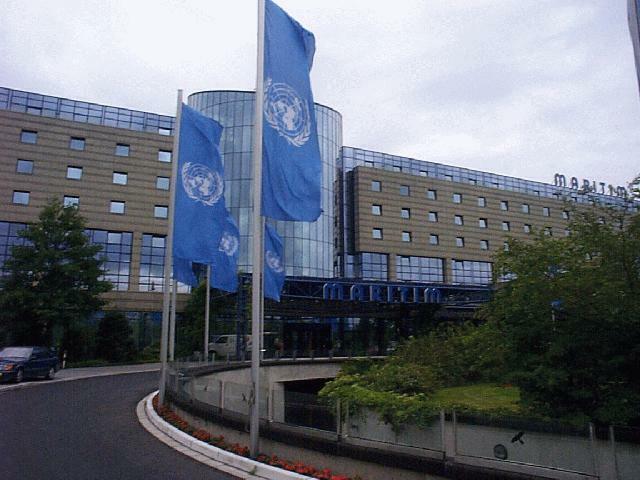 The tenth sessions of the UNFCCC subsidiary bodies ended Friday afternoon after recommending a series of decisions for adoption at COP-5. After a slow start to the two-week negotiations, punctuated by three bomb scares, momentum and productivity picked up during the final three days after a series of G-77/China meetings to prepare internal positions on the Kyoto Mechanisms, compliance and other issues. A senior European negotiator reported a "growing interest among non Annex I Parties in the Kyoto Mechanisms." Parties took a small step closer to agreeing a negotiating text on the Mechanisms with an agreement to produce a new synthesis of Party positions in time for the COP. Other key draft decisions deal with work on: national communications, methodological issues related to land-use change, land-use and forestry, bunker fuels, adverse impacts arising from measures to address climate change, the AIJ pilot phase, and the new biennium budget. There was continuing concern among NGOs and some delegations about the issue of land-use change, land-use and forestry. Negotiators in Bonn agreed a work programme, taking account of the upcoming IPCC report on the issue. Greenpeace International has just published a new analysis of potential loopholes in the Kyoto Protocol. Their senior climate change policy spokesperson, Bill Hare, said the new analysis indicates that the proposals on the table at Bonn could completely undermine its already limited environmental effectiveness: "Greenpeace has now recalculated the potential loopholes in the Kyoto Protocol and they equal or exceed the reduction requirements of the Protocol, representing a potentially fundamental breach of the environmental integrity of the Kyoto Protocol." Revised official projections for emissions in 2010 show that the Annex B group as a whole are likely to be 8% above 1990 levels. Chair Kok Kee Chow opens the joint meeting of the SBSTA and SBI. Chair Chow takes up SBSTA agenda item 12 and SBI agenda item 8, Mechanisms relating to articles 6, 12 and 17 of the Kyoto Protocol. Harald Dovland, Co-Chair, reported on the progress of the Joint Working Group on Compliance. Jim Wolf, Chair, of the Climate Change Taskforce of the Business Council for Sustainable Energy, spoke on the AIJ pilot phase and on the projects generated in both Annex 1 and non Annex 1 countries. He emphasized that project-based approaches generate environmental benefits and encourage investment in climate mitigation activities at low cost. A US delegate, on behalf of JUSCANZ, presented Cornelia Quennet-Thielen, outgoing head of the German delegation, with a large bouquet. He went on to comment on the spirit of openness, frankness and participation during the negotiation process over the years. Cornelia Quennet-Thielen accepted the bouquet. She highlighted the importance of climate change negotiations and reflected on her 10 year involvement in the process. Bakary Kante (right) announces his departure from his position as Chair of SBI, and expresses his gratitude to the UNFCCC secretariat, the Africa group, NGOs and business groups for their strong support. Chair Kok Kee Chow opens the 12th and final meeting of the SBSTA. Christophe Ewald, delegation of France, takes a moment to talk with Mongi Gadhoum (ENB). China sought clarification on references to "parties" in a draft decision calling for further elaboration on inclusion of international bunker emissions in overall GHG inventories. Members of the ENB team interviewing Michael Zammit Cutajar, UNFCCC Executive Secretary. Right: Zammit Cutajar with Angela Churie and Peter Doran. The ENB writing team at Bonn'99, from left to right: Chris Spence, Lavanya Rajamani, Paola Bettelli and Chad Carpenter. ï¿½ Earth Negotiations Bulletin, 1999. All rights reserved.